﻿﻿﻿﻿﻿﻿﻿﻿ “There’s never a self-only invention; there’s only ever co-invention.” – Kari Granger Welcome to Leadership Impact, the podcast for modern executives who are reinventing leadership within their organizations. Hosted by executive leadership coach and CEO of The Granger Network, Kari Granger, and Sound Financial… Read More. ﻿﻿﻿﻿﻿﻿ “At the core of the entire first season is the thing we started out with in our very first episode: rather than focusing on the action to produce the result, focus instead on how the way we are observing the whole situation.” – Kari… Read More. ﻿ “A meaningful offer is about identity. It’s about a different future. It’s about resolving conflicting values. It’s about life changes. It isn’t about products or services.” -Kari Granger Welcome to Leadership Impact, the podcast for modern executives who are reinventing leadership within their organizations…. Read More. “Complaints are great news. I would much prefer complaints over apathy. Apathy is like they don’t even care! 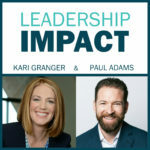 There’s nothing to work with there.” – Kari Granger Welcome to Leadership Impact, the podcast for modern executives who are reinventing leadership within their organizations. Hosted by… Read More. 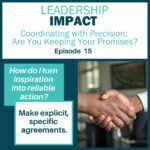 Episode 15 – Coordinating with Precision: Are You Keeping Your Promises? ﻿﻿﻿﻿﻿﻿﻿﻿﻿﻿﻿﻿﻿﻿﻿﻿﻿ “When we don’t realize we made promises and people are counting on us for those promises, it makes for sloppy coordination.” – Kari Granger Welcome to Leadership Impact, the podcast for modern executives who are reinventing leadership within their organizations. Hosted by executive leadership… Read More. 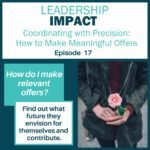 Episode 14 – Coordinating with Precision: When Will You Be Satisfied? 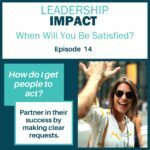 ﻿﻿﻿﻿﻿﻿﻿﻿﻿﻿﻿﻿﻿﻿﻿﻿ “It’s easy to collapse people’s mood of willingness with a commitment that they will act on something.” – Paul Adams Welcome to Leadership Impact, the podcast for modern executives who are reinventing leadership within their organizations. Hosted by executive leadership coach and CEO of… Read More. ﻿﻿﻿﻿﻿ “What’s required to fulfill on a promise, is to first make the space, and then to really put in the time to follow through with specific actions and coordination.” – Kari Granger Welcome to Leadership Impact, the podcast for modern executives who are reinventing… Read More. 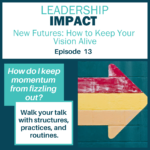 ﻿﻿﻿﻿﻿﻿﻿﻿﻿﻿﻿﻿﻿﻿﻿ “A new vision may sound very inspiring to you, but it will sound a lot less inspiring to your team if there were four previous visions that never fully bore fruit.” – Paul Adams Welcome to Leadership Impact, the podcast for modern executives who… Read More. 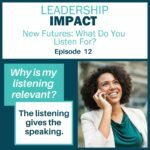 Episode 12 – New Futures: What Do You Listen For? 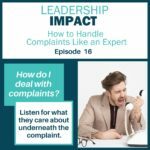 ﻿﻿﻿﻿﻿﻿﻿﻿﻿﻿﻿﻿ “These five modes [of listening] can shift just about anything, and they provide a great framework for business development.” – Kari Granger Welcome to Leadership Impact, the podcast for modern executives who are reinventing leadership within their organizations. Hosted by executive leadership coach and… Read More. ﻿﻿﻿﻿ “What does a non-acceptance look like? It looks like rumination. It looks like looking backwards. It looks like gossip. It looks like ‘shoulding.’” – Kari Granger Welcome to Leadership Impact, the podcast for modern executives who are reinventing leadership within their organizations. Hosted by… Read More.